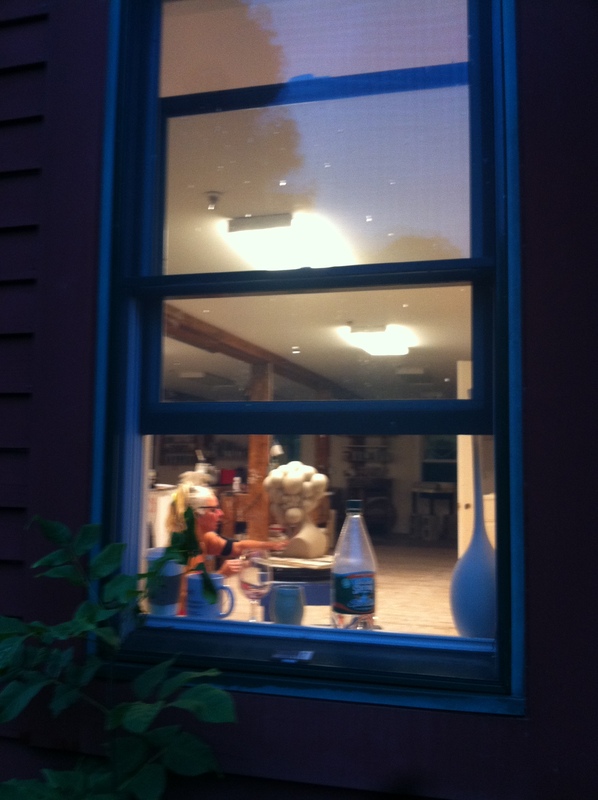 Up to four studio rentals are available for ongoing production of art either short or long term. 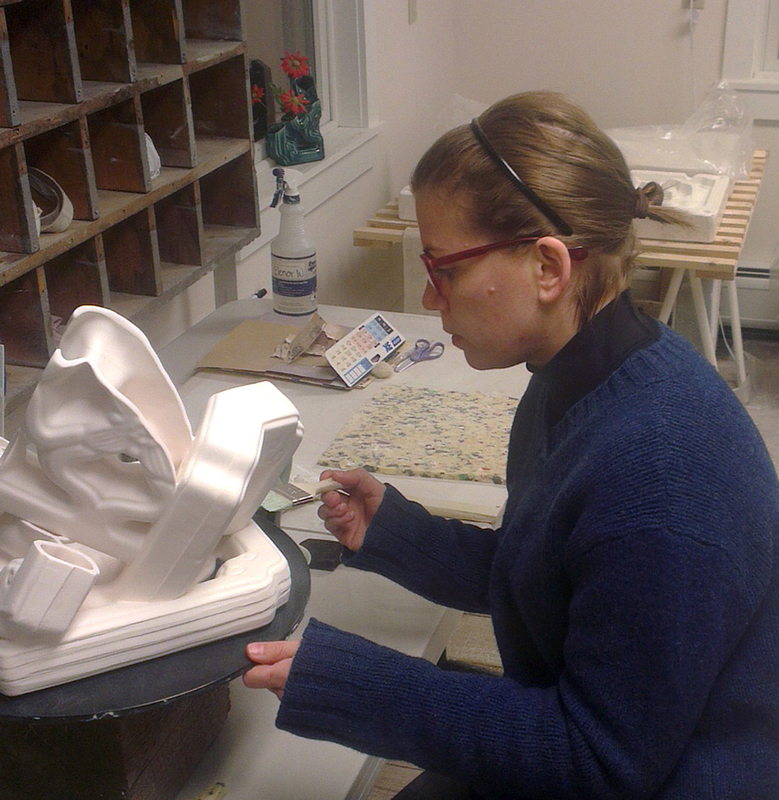 Artists have 24 hour access to their studio; however, hours between 8pm and 8 am are for quiet work only. Artists are expected to maintain a relatively clean and organized environment in their own and shared spaces. Lodging is not available onsite. Click HERE for information on area lodgings. Studio space is rented by the month. The rental cost is $250, $300, and $350 respectively. Contact Project Art for further details. Rentals includes basic utilities and are renewable. 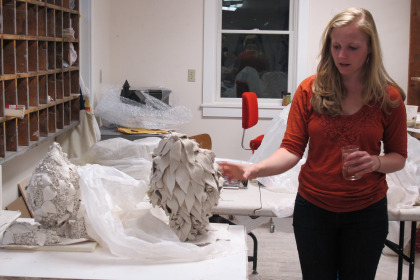 Project Art provides studio space only. Housing, food, supplies, materials, and firings are not included. A list of local housing is available, some within walking distance. There is a hardware and general store within walking distance. Supplies can be ordered and delivered in advance. 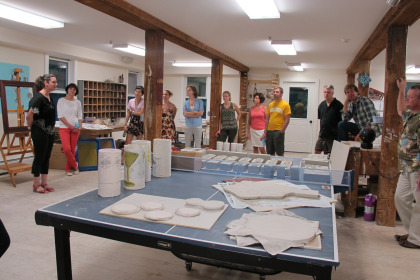 For artists working in ceramics, electric firings and spray booth are available on site. Supplies can be purchased in advance and delivered. There are several wood kilns in nearby studios that are potentially available to residents – a list can be provided but all arrangements are the responsibility of the artists. Transportation to and from the airport can be arranged. While a car is highly recommended for a short term residency, it is possible to exist without one. Email us at projectart01026@gmail.com to inquire about studio rental rates and availability, or call 413.446.0614.